Refinery Town: Big Oil, Big Money, and the Remaking of an American City, by Steve Early. Beacon Press, 2017. On a snowy winter day, 25 people gathered in a library meeting room in Greenfield, Massachusetts, to hear how a movement of progressive activists had won elections and taken power in Richmond, California. Veteran labor organizer Steve Early was giving a talk about his new book Refinery Town: Big Money, Big Oil and the Remaking of an American City. The meeting was sponsored by Franklin County Continuing the Political Revolution, which grew out of Senator Bernie Sanders’ presidential campaign. Early’s book recounts the history, politics, and battles of the Richmond Progressive Alliance, and its efforts to reform the city. This is a book about deep community organizing where the goal is political power—power that can only come from involving large numbers of people. It’s similar to organizing a union. You have to pay attention to detail, engage with a majority of people, and stay focused on building power to battle with a corporation or wrangle with a corrupt political system. Richmond Vice Mayor Jovanka Beckles, a union activist and leader of the Richmond Progressive Alliance, will be the keynote speaker at the Portland Troublemakers School April 8. Richmond is a small city of 100,000 people, the majority of them African American, Latino, or Asian. It’s also home to one of the largest oil refineries in the U.S., owned by Chevron. Like many cities, Richmond has lost much of its industrial base. During World War II the Kaiser shipyards in Richmond employed over 100,000 workers, but the shipyards closed shortly after the end of the war. Ford closed its auto factory in the late 1950s, and many other manufacturers followed soon after, leaving behind joblessness, pollution, crime, poverty, poor housing, and a repressive police force. Chevron became the city’s major employer. It resisted any increase in its tax payments to the city, substituting instead a system of doling out money to community organizations and politicians that favored its interests. The Richmond oil refinery covers 3,000 acres and has a production capacity of 240,000 barrels of crude oil per day. Refinery explosions, the latest in 2012, have confined thousands of people to their homes to dodge toxic fumes, sent hundreds who couldn’t avoid those fumes to the hospital, and injured several workers. Like most cities, Richmond has a long history of struggle. Refinery Town picks up this struggle in 2003 with a group of activists deciding to run for city council. The group began as the Richmond Alliance for Green Public Power and Environmental Justice. Its first project was to oppose the construction of a new municipal power plant right next door to the Chevron facility. Another oil-burning plant would increase the pollution already plaguing Richmond. After large numbers of local citizens mobilized to public hearings to speak and protest, the proposal was killed. This organization became the Richmond Progressive Alliance. It went on to pursue campaigns against the police harassment of homeless people and day laborers. Two RPA candidates ran for city council in 2004: Gayle McLaughlin, a member of the Green Party, and Andres Soto. They ran on a program that was developed by holding public “popular assemblies.” It stressed taxing Chevron at a higher rate, stopping pollution, community control of police, enacting a living wage, and other progressive issues. McLaughlin was elected to the city council, where she fought for these issues. And in 2006 she won a three-way race for mayor, despite opposition from Chevron. The campaign for mayor was complicated. Her opponents were incumbent Mayor Irma Anderson, an African American woman backed by the Chamber of Commerce and Chevron, and former city councilor Gary Bell, an African American man backed by the Democratic Party. McLaughlin, who is white, emphasized a proposal to end the cap on how much Chevron paid on its electric bill—and to earmark the extra money that Chevron would have to pay for a jobs training program for Richmond’s youth. She won by 279 votes. Chevron has a longstanding practice of supporting candidates from the African American community, who once elected would support Chevron. With her victory, RPA began to confront the intricacies of governing. Richmond has a weak mayoral system, meaning the actual power to manage the city’s workforce lies with a hired city manager. As mayor, though, McLaughlin could raise issues and promote programs such as one to provide city identity cards to undocumented residents. Refinery Town recounts other battles that followed. In 2010, RPA and others managed to stop the building of a casino and hotel on 242 acres of shoreline. This area, once the home of a naval oil depot and a winery, had become a prime recreational area for Richmond citizens. Backing the casino plans were local building-trades unions and other “pro-growth” supporters. In a public referendum, a coalition of those who wanted to maintain a public recreation area and those opposed to gambling and local gambling clubs produced a 57 percent no vote. But RPA failed in its 2012 effort to put a tax on soda to combat obesity—teaching the group a tough but valuable lesson. Although they began with the best intentions, campaigners did not think through the potential scope of their opposition. The soda industry spent about $2.5 million in Richmond to defeat the tax, depicting it as a racist assault on working-class African Americans and Latinos by a group of radical elitists. Many in the labor movement will understand what went wrong—you don’t launch an attack against the employer without having the members involved and actively supporting your effort. The defeat of the soda tax had repercussions. The RPA contingent on the city council was reduced from five to two: Mayor McLaughlin and Councilor Jovanka Beckles, a Public Employees Union member and African American Latina woman who was born in Panama. City council meetings in the years between 2012 and 2014 were filled with hotly contested debates between the councilors and their backers. The mayor’s support for “sister city”-like ties with Ecuador were based upon Ecuador’s suit against Chevron for major pollution damage. This escalated friction between Richmond’s pro- and anti-Chevron forces. To deal with the epidemic of home foreclosures, the mayor advanced a radical idea called “Richmond Cares.” When people’s homes were being taken by banks, the city would take them by eminent domain. The homes would then be sold to a finance company that would sell them back to the homeowners with a reduced mortgage rate. Homeowners in Richmond began to receive mailings from the National Association of Realtors opposing the measure, claiming it would drive down home values. In the end the plan was undone when Obama-backed legislation forbade any federal dollars from being used for mortgages where the homes had been taken by eminent domain. In the 2014 elections, Chevron was determined to retake control. There were three candidates for mayor: Tom Butts, a Democrat; Nat Bates, a longtime city councilor supported by the “Moving Forward” organization, which received its funding from Chevron; and Uche Uwahemu, in the middle between the pro- and anti-Chevron forces. The RPA’s original candidate for mayor was Mike Parker, a retired union activist and the coauthor of four Labor Notes books, including Democracy Is Power. But the organization had to make a tough decision when Butts entered the race: whether to run Parker or back Butts, thus uniting enough forces to beat the pro-Chevron candidate. In the end, RPA decided that beating Chevron was the top priority. The campaign was down and dirty, primarily because Moving Forward took a no-holds- barred approach and engaged in smear campaigns against its RPA opponents. Chevron spent $3.1 million on the campaign—an astounding sum for an election in a small city. As Sanders points out in the foreword to the book, this showed what effect the 2010 Citizens United decision, which deregulated campaign spending, has had on U.S. elections. Sanders came to Richmond that September at the invitation of Mayor McLaughlin and Parker, who’ve known him since their college days, and helped raise thousands of dollars for the RPA. Ultimately Butts won the mayor’s race, and four RPA-backed candidates were elected to city council. The story of Richmond is still unfinished; many of its problems cannot be solved through local politics alone. The police force has been reformed, as detailed in the chapter “Richmond’s Community Policeman.” A new chief of police, hired in 2005, has worked to remake the force and implement community policing. But addressing poverty and the crime that grows out of it will require a national approach. I believe this book is important for readers of Labor Notes. In this Trump era our battlefields are expanding. We must fight not only in our workplaces, but also in our communities. At work we aren’t content just to protest against our employers—we force them to sign contracts codifying our gains. In the same fashion, we have to go beyond protesting in our communities and take responsibility for running them, building multi-issue, multi-racial organizations to lead the struggles. We can codify our gains by passing ordinances and laws, and we must elect representatives who come out of our movements and are prepared to defend them. 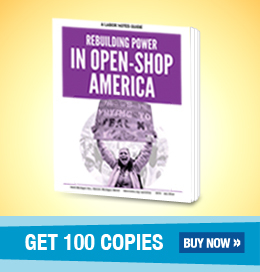 This is how we can begin to build power locally in order to resist Trump and all corporate-backed elected officials on the state and national level. Though it’s tempting to “shoot for the top” when running candidates, the easy way is not the winning way. An organized movement that opposes corporate control of our economy can elect people locally, who then move on to elected positions at the state and federal levels. We must build from the bottom up—and in the process recruit thousands of working people to our political movement. David Cohen is a retired international representative of the United Electrical Workers (UE). He is part of a post-Bernie organization, Franklin County Continuing the Political Revolution, which has about 250 dues paying members. 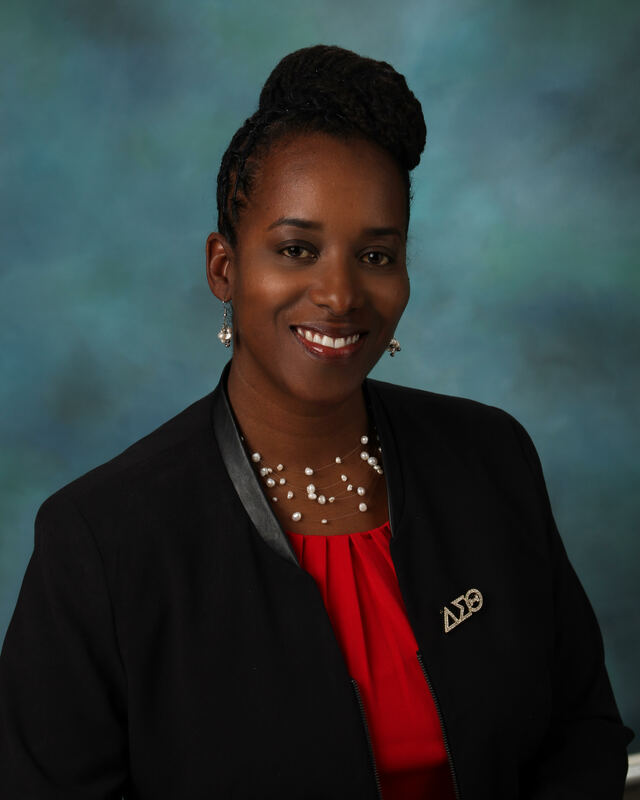 Hear from Richmond Vice Mayor Jovanka Beckles, a union activist and leader of the RPA, at the Portland Troublemakers School April 8.